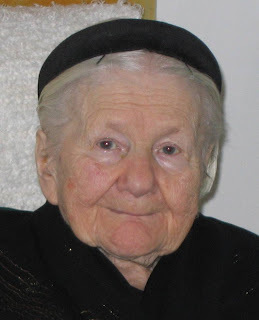 There recently was a death of a 98 year old lady named Irena Sendlerowa. During WWII, Irena, got permission to work in the Warsaw Ghetto, as a Plumbing/Sewer specialist. Irena smuggled infants out in the bottom of her tool box she carried, and she carried in the back of her truck a Burlap sack, (for larger kids). She also had a dog in the back, that she trained to bark when the Nazi soldiers let her in, and out of the ghetto. The soldiers of course wanted nothing to do with the dog, and the barking covered the kids/infants noises. She was caught, and the Nazi's broke both her legs, and arms, and beat her severely. Irena kept a record of the names of all the kids she smuggled out, and kept them in a glass jar, buried under a tree in her back yard. After the war, she tried to locate any parents that may have survived it, and reunited the family. Most of course had been gassed. Those kids she helped got placed into foster family homes, or adopted. Al Gore won, for doing a slide show on Global Warming.